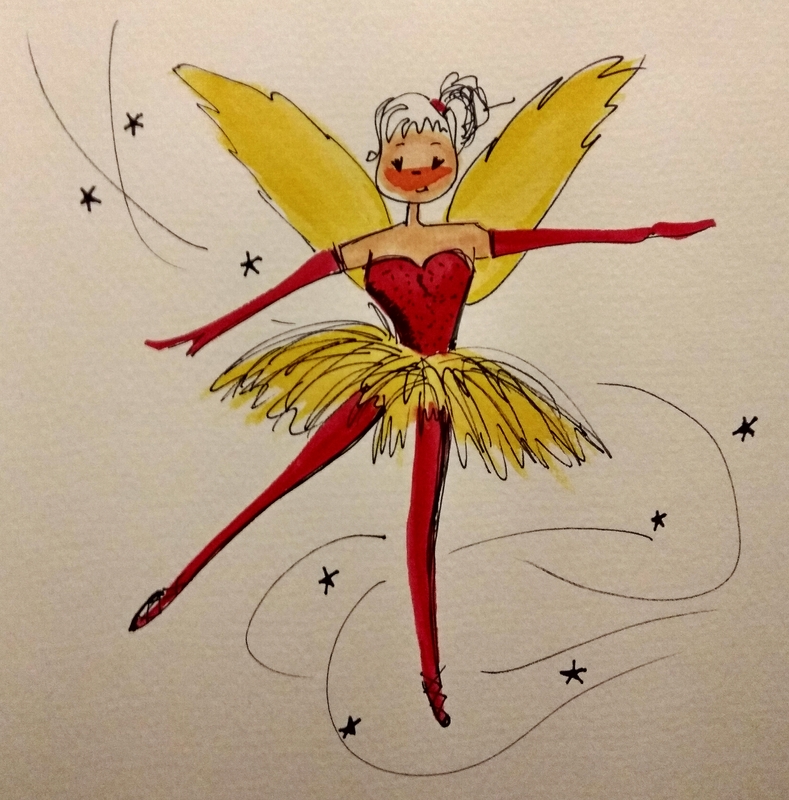 Inspired by a painting of a ballerina, I initially painted vague shapes in watercolour for her arms, legs and bodice before adding her skirt, wings and skin. Once the paint was dry, I sketched the definition using a fine permanent marker. I added the stars and sketchy lines to add to the movement of the picture.